Is there a No. 1 trick for website traffic that would bring thousands of clients directly to your website? No. But wouldn’t it be lovely to sit down to your computer as a business owner and do one thing to your website to drive traffic and get back to working with clients? The good news is that there are methods for getting clients that involve website marketing. The honest news is the work is constant and must be executed by a professional with proof that the website drives revenue. So here’s the No. 1 tip for getting website traffic: Hire a trustworthy website firm that has proven website results to show that they’ve successfully increased revenue for a company like yours. It takes many online and website activities to drive traffic and it requires a marketing plan to create a strategy to achieve long-term results. Marketing real estate requires online and offline tactics. Usually when someone wants difficult work performed, they hire a professional. Legal problems require an attorney licensed to try a case. Medical problems require a licensed medical professional. Vehicle issues require a certified mechanic. Tax problems require a CPA AND a tax attorney. Website experts are often self-proclaimed with no certification. There is no government, educational, U.S. or International professional website licensing. You have to hope that the person you’re speaking with is honest and will tell you without puffing up results, that yes they can bring you clients or no they can’t. The one method for checking is to call clients. A lawyer or doctor can Google anything they want to find information about website experts. But the proof is in the revenue. How much money are the clients earning from the website? Exactly how many calls are from people who want to sign with the attorney? How many new patients came to the practice because they found the website and learned about the doctor? Any website company claims expertise, skill, knowledge, ability, know-how and the latest, greatest technology tactics. Do you know whether hot button words turn website visitors into clients? How do you know they know what works and who can you trust if they don’t have degrees and certifications? Did a simple Google search provide your answers? If you’re a lawyer or a doctor, you’re not going to tell your clients to do a Google search for medical or legal advice, right? The truth about website knowledge is that it’s a learned skill that requires time, years, successful results that don’t always involve pretty perfect pictures and cookie-cutter design. You want to know which website works best. Do you want to look like everybody else or do you want to design your brand based on advertising and SEO best practices? The challenge is that you have to vet a website and ad agency just as you would anyone you’re going to hire. If you expect a company to help you bring in revenue, they’d better have a track record of being able to do so. Have they created campaigns for clients that drive revenue or just brand awareness? Do they know how to increase sales for your law firm or are they only able to provide lots of followers and social media interaction. When was the last time you heard of a lawyer gaining new, signed clients from 140 characters written on social media? Best to call the clients working with the website firm. Get actual numbers or at the least a firm answer as to whether or not there was an increase in revenue? Is there ongoing new business from the website or occasional calls here and there? Did the traffic increase on a website equal new client contracts? You have to ask other clients. Clients may not tell you how much they earn monthly from a website, but they should be able to tell you clearly whether the website firm drove revenue. But every website is not meant to increase business. If you just want a website to sit and look pretty, those websites are available for dirt cheap all over the web. It’s a choice you have to make: beautiful online business card or website that works for you to drive revenue. Revenue is different than traffic. Anyone can get website traffic, but is it the traffic you want? Is it strategic? The website firm you hire should be able to tell you without question that they are making back what they put into the website and marketing with a clear understanding of how much they expect. But this is where many business owners fail. There are challenge for business owners looking for an experienced, trustworthy website agency to build or rebuild a website, then, provide search engine optimization and search engine marketing. Who can you trust to get results? A business with clients who attest the results is the recommend. Be wary of online reviews about companies. Reviews may be purchased. Ratings and reviews are a booming online business that are for sale. If you’re looking for proof that a company can provide online results (revenue, new clients) read the company testimonials, call the company and meet with them. There is also a tendency to feel that SEO and SEM are activities that everyone who has a computer can learn to do. YouTube, tech publications, social media are for the masses and provide incredible amounts of fascinating information. Watching a video on SEO, reading up on all the “latest techniques,” receiving social media training, and understanding website basics doesn’t mean that you’re capable of executing an online marketing plan. Many people sit at computers all day. Can you sit for hours writing content, coding, backlinking, formatting, editing, running software, gathering data, competitive analysis, interpreting results, etc., year-round, every day? Probably not. The intense work required for SEO and SEM takes research, practice, testing and changing. It takes years of working daily, trying new things, collaborating with other experts who are also testing computer science theory. If you make a mistake, do something considered a black hat tactic, it can cause irreparable damage to the domain and website and even earn Google penalties or blacklisting. A rule of thumb to online SEO and SEM information–similar to news that’s broadcast online or broadcast–the information is dated when it airs. What you read online is old news, dated information and frequently interesting and understandable. Google has a great number of YouTube channels for webmasters with regular updates on good and bad SEO/SEM practices. But if you’re watching a video, or reading an article online, it is probably old news. The new, better, different is being developed and tested. Look for an online marketing expert as you would a legal, medical or accountant expert. Marketing experts are a dime a dozen and may or may not hold a degree in the field. The title is often self-proclaimed. Very few tout computer science research, knowledge or training. A social media expert and website designer doesn’t get asked often about computer science, although the tactics required in moving and affecting and adjusting to search engine algorithms require computer science skill. Knowing how to write content doesn’t equate to online marketing. Content is simply one aspect of the online marketing skill needed to move a website page to an authoritative level. In short, there’s not one thing, not one simple tip to getting website traffic. Traffic, by the way, doesn’t equate to phone calls and e-mails and online purchases. Many things go into earning new clients who are searching for services and products online. Kick the tires. Visit the websites built. Call our clients. Ask for an online or in-person meeting. The Marketing Square team of computer scientists, SEO and SEM experts, have acquired knowledge, studied and researched theoretical function of computers and algorithms for many years. Few people approach legal, medical, automotive challenges and decide to do it for themselves. The knowledge required to excel in these fields takes years of training, education and practical experience. The recommend is that when looking for an online marketing company that you meet the old-fashioned way, offline, talking, asking questions. Find out who can work for you and with you to achieve your goals. The Marketing Square is a website and ad agency working with small businesses to increase business through online marketing year-round in any economy. 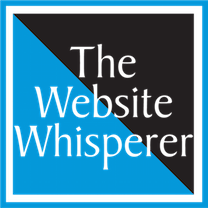 PreviousPrevious post:Website 101 for CEOs Who Hate Website StuffNextNext post:How Much Should You Invest in a Website?